The MERCES project is focused on the restoration of different degraded marine habitats, with the aim of: 1) assessing the potential of different technologies and approaches; 2) quantifying the returns in terms of ecosystems services and their socio-economic impacts; 3) defining the legal-policy and governance frameworks needed to optimize the effectiveness of the different restoration approaches. Specific aims include: a) improving existing, and developing new, restoration actions of degraded marine habitats; b) increasing the adaptation of EU degraded marine habitats to global change; c) enhancing marine ecosystem resilience and services; d) conducting cost-benefit analyses for marine restoration measures; e) creating new industrial targets and opportunities. To achieve these objectives MERCES created a multi-disciplinary consortium with skills in marine ecology, restoration, law, policy and governance, socio-economics, knowledge transfer, dissemination and communication. 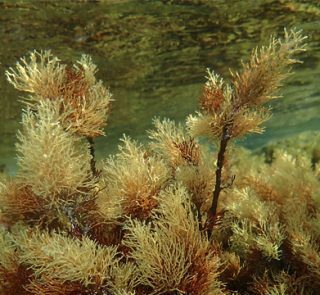 MERCES will start from the inventory of EU degraded marine habitats (WP1), conduct pilot restoration experiments (WP2, WP3, WP4), assess the effects of restoration on ecosystem services (WP5). The legal, policy and governance outputs will make effective the potential of marine restoration (WP6) and one dedicated WP will assess the socioeconomic returns of marine ecosystems’ restoration (WP7). The transfer of knowledge and the links with the industrial stakeholders will be the focus of WP8. The results of MERCES will be disseminated to the widest audience (WP9). The project will be managed through a dedicated management office (WP10). MERCES will contribute to the Blue Growth by: i) improving the EU scientific knowledge on marine restoration, ii) contributing to EU Marine Directives; iii) implementing the Restoration Agenda, iv) enhancing the industrial capacity in this field, v) increasing the competitiveness of EU in the world market of restoration, and vi) offering new employment opportunities.